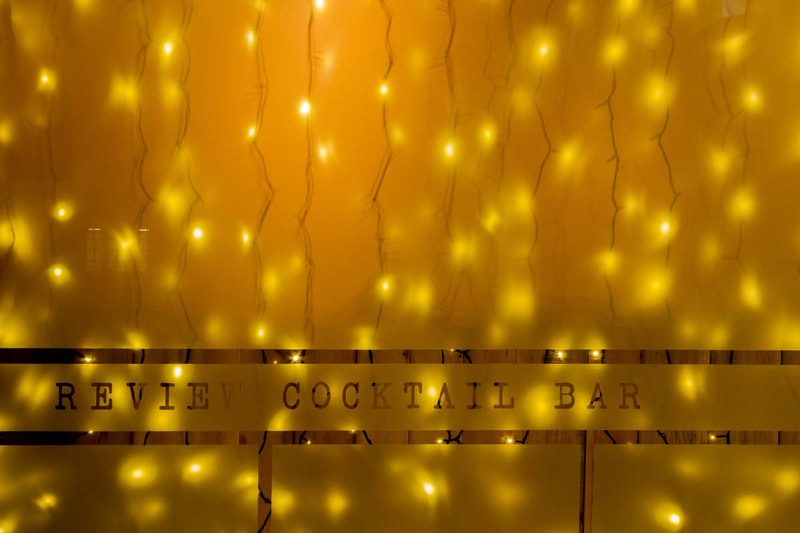 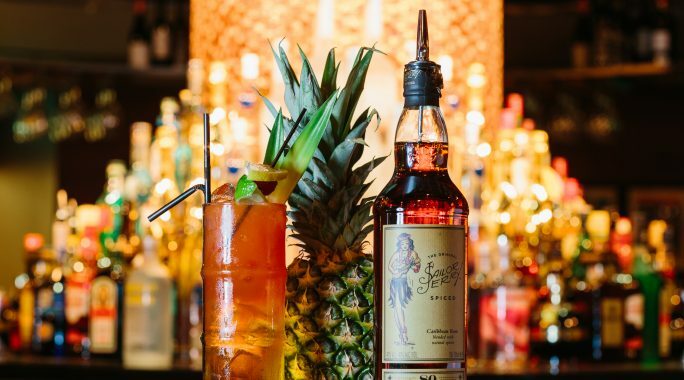 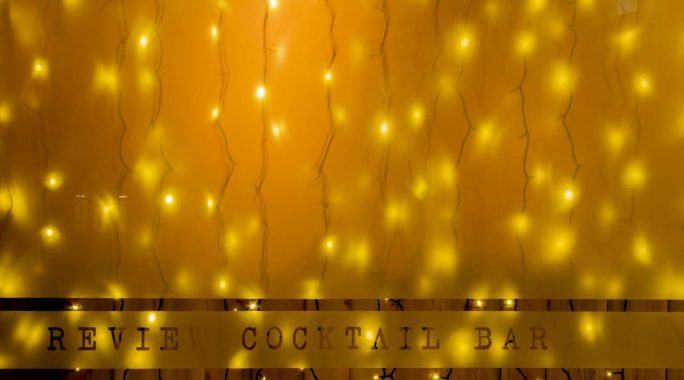 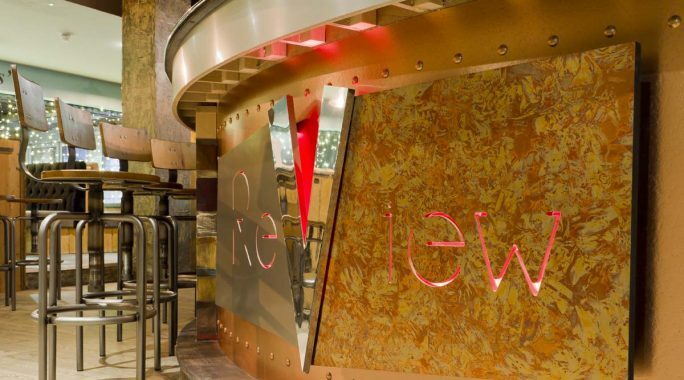 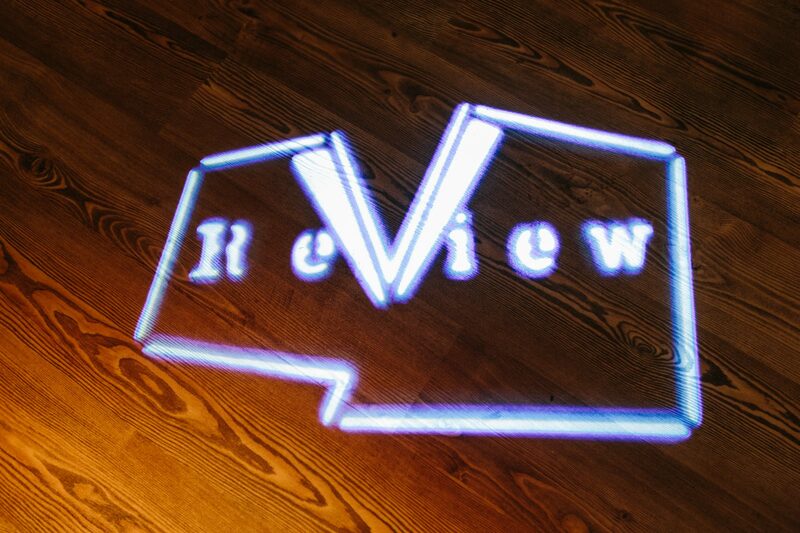 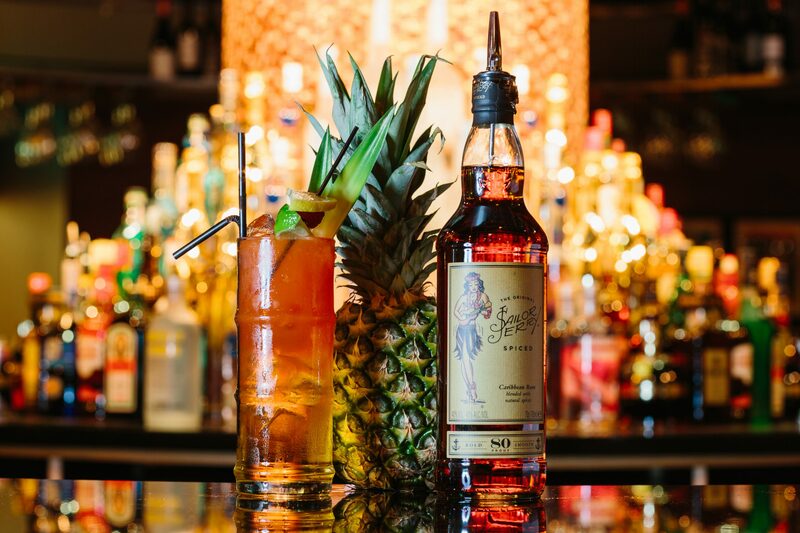 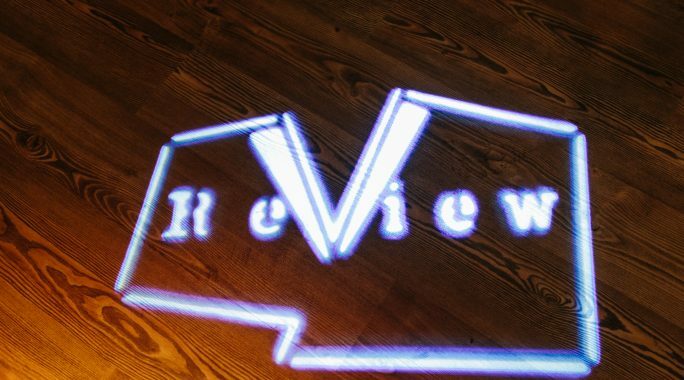 Review is a brand new lively cocktail bar based in Preston City Centre. 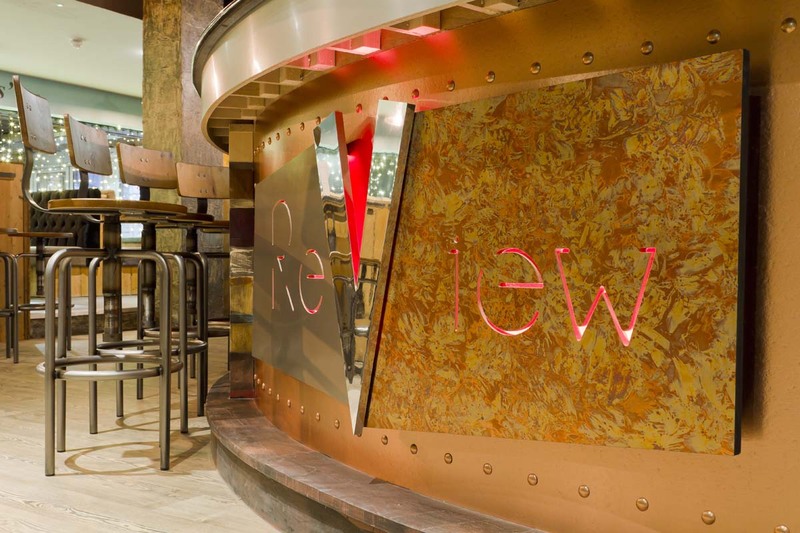 We were tasked with a full interior design and consultancy project for this job. 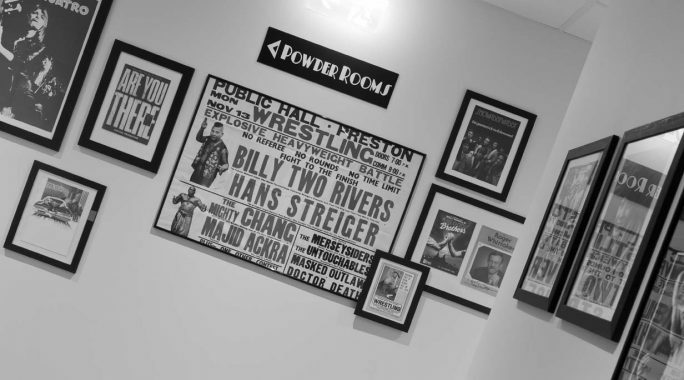 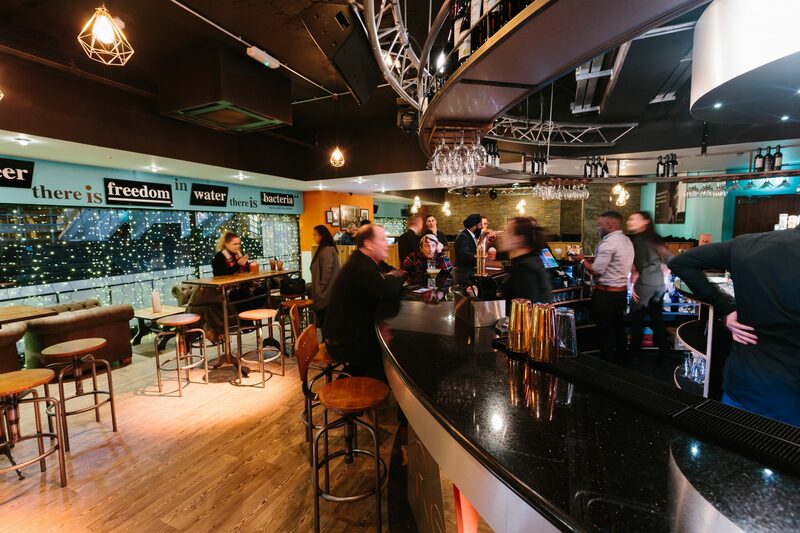 The logo and graphics for inside had to reflect this sophisticated cocktail bar whilst also incorporating the history of Preston Guild Hall. 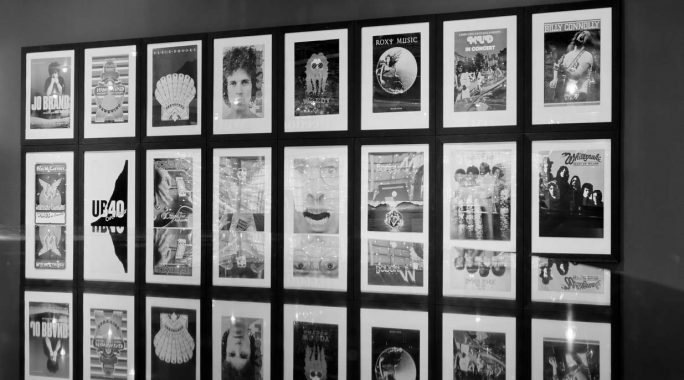 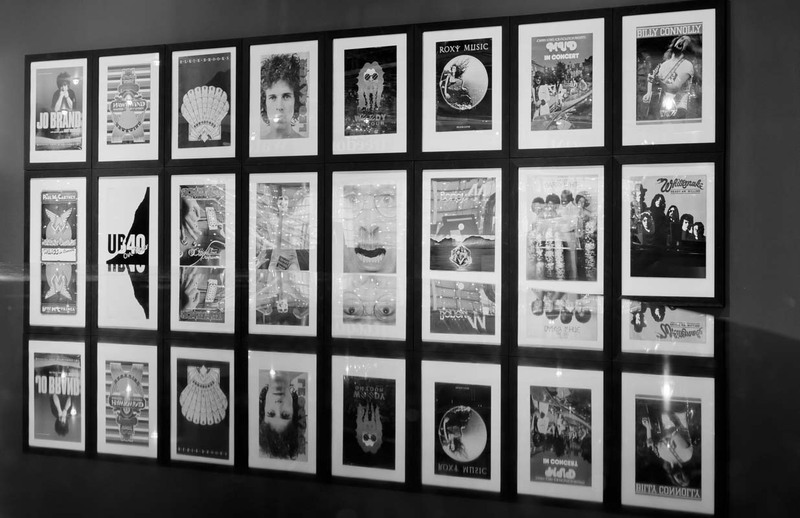 Initially, we were provided with all event programmes and posters from the 1960’s onwards and had to find an interesting and visual way of presenting them to customers. 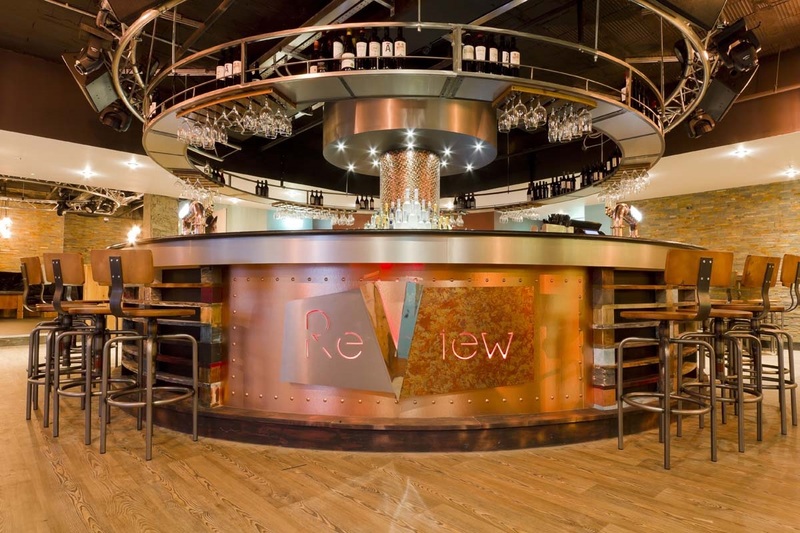 Within the bar, visual focal points were designed to fit the overall look and feel. 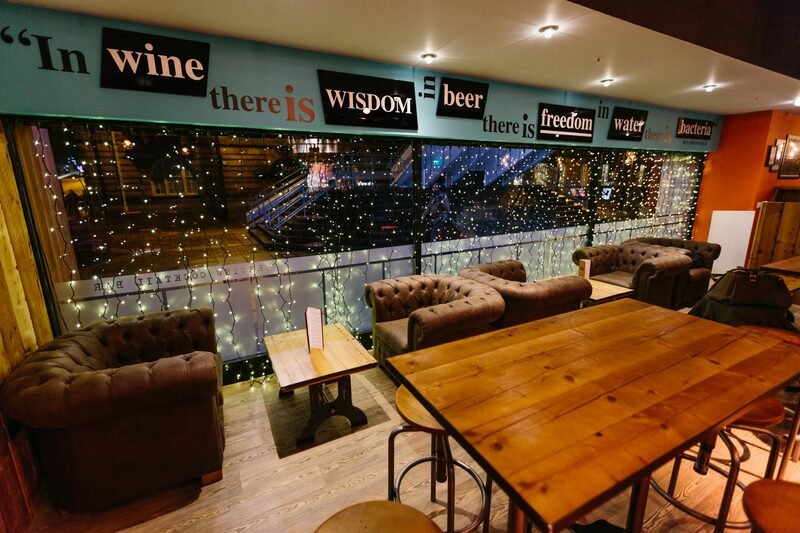 Once the logo was signed off, we took this forward and created eye-catching signage and literature to further promote the bar. 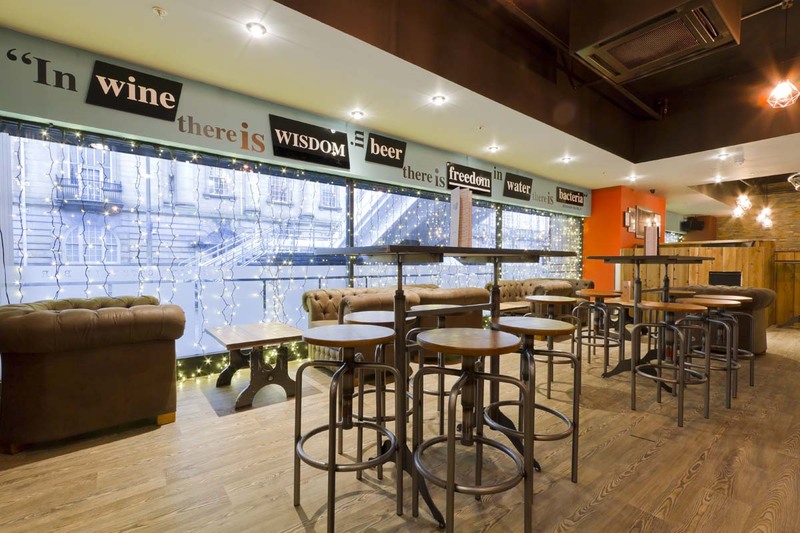 Here is a range of images that show you the work carried out by Stone Create. 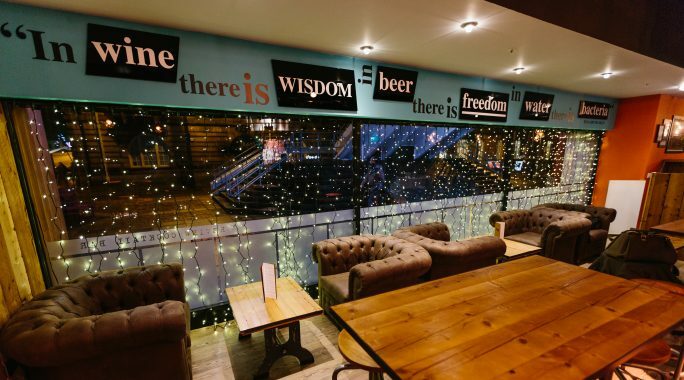 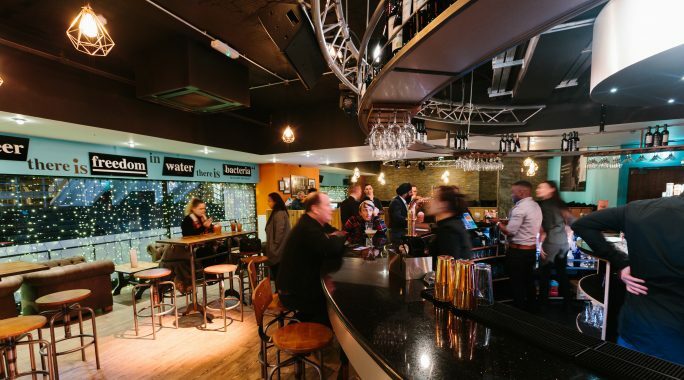 We have sprinkled some Stone Create magic on this Preston Guild Hall bar which is now one of the most popular places to eat and drink in the city centre.